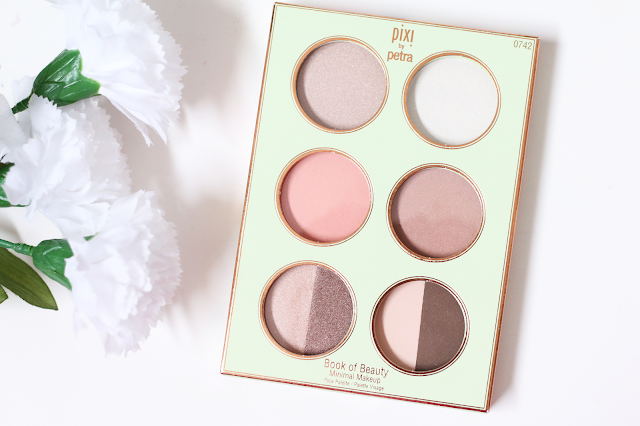 Hi loves, today I have a very exciting review on the new Pixi Book of Beauty palette. 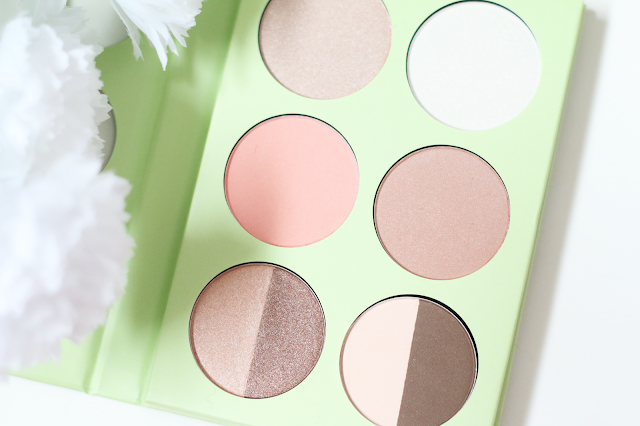 I love palettes that contain both face and eye products and this palette was created for those minimalist looks. This palette comes with two highlighters, one blush, one bronzer, two shimmery eyeshadows and two matte eyeshadows. The two highlighters that come in this palette both have a different hue to them. The first highlighter is more of a champagne highlight and the second one is white with a golden/blue undertone. I found both highlighter to be fairly pigmented. The first highlighter was very creamy and soft feeling, as for the other highlighter was a little more chalky. Moving onto the blush, I found it very beautiful. It is a peach blush which would add just a beautiful flush to the cheeks. The texture was buttery but it was a little chalky as well. It was very easy to blend though and wasn't overly pigmented. The bronzer was my favorite part of this whole entire palette. It was very pigmented with a little bit of shimmery mixed into it. This shade just adds beautiful color to the face to warm it up a little without going overboard. It was not chalky but butter and blended out very easily. Now moving onto the eyeshadows. Starting off with the two shimmery shades, they were extremely pigmented. It comes with a golden light brown shade and a darker brown. I loved how these blended. However moving onto the matte shades, I was not a fan of them. They were very chalky and did not have good pigmentation at all. 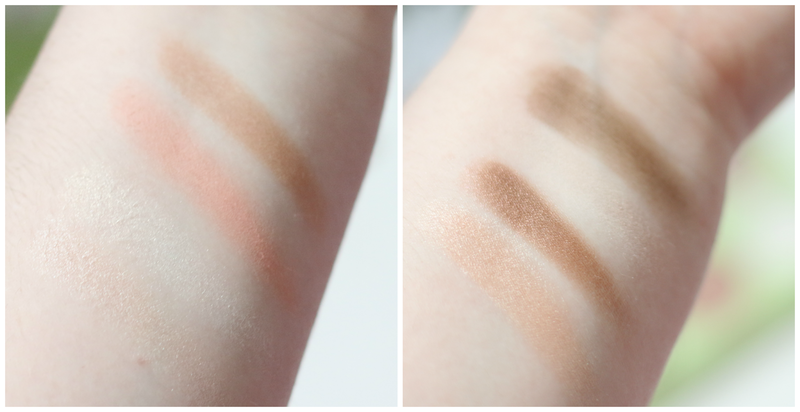 You can see in the swatches below that the lighter shade barely appeared on my arm, and the brown was very patchy. I was really hoping that these would have been more pigmented and not patchy. 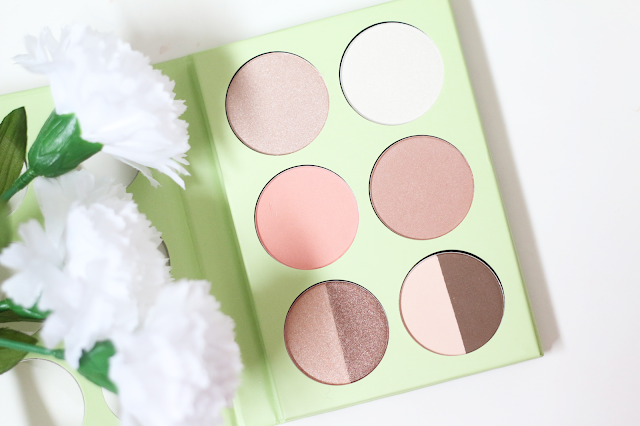 I loved the first highlighter, blush, bronzer and shimmery shadows in this palette. The matte shadows and the other highlighter did not work out well for me at all. If you want a overall palette I think you would enjoy this, however just be careful that some of the items are chalky. This palette retails for $24.00 and can be found at www.target.com.